China is willing to link the Belt and Road Initiative (BRI) with Moldova and Azerbaijan's development strategies, State Councilor and Foreign Minister Wang Yi said on Wednesday when meeting with his Moldova's counterpart Tudor Ulianovschi and Azerbaijan's counterpart Elmar Mammadyarov. 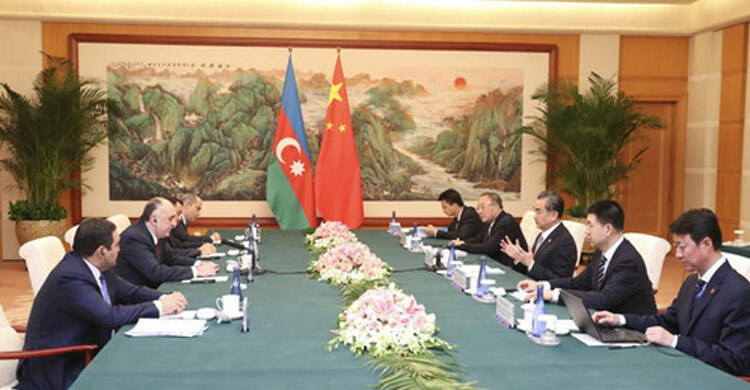 Wang expressed China's support for Azerbaijan's succession to the rotating chairmanship of the Non-Aligned Movement next year. The Chinese foreign minister also said both sides should enhance cultural exchanges and strengthen security cooperation to create a favorable environment for respective development. While Mammadyarov praised the wisdom of China's proposed BRI and said Azerbaijan is willing to strengthen coordination with China in multilateral situations.